UNIVERSITY of the Philippines showed an early glimpse of what to expect from the Fighting Maroons in Season 82 of the UAAP. 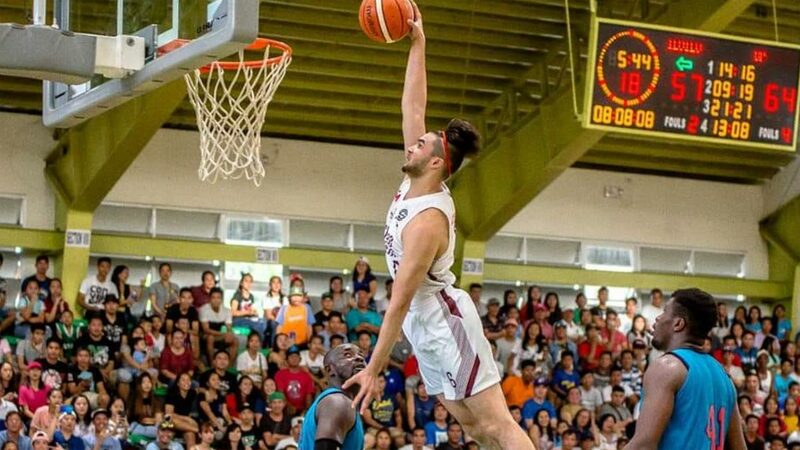 The team unveiled the duo of Kobe Paras and Ricci Rivero in a pair of exhibition matches against the Iloilo PRISAA selection in Iloilo City recently. The Maroons, coming off a surprise runner-up finish against reigning champion Ateneo in last year’s UAAP men’s basketball finals, completed a sweep of the tune-up games held in celebration of the Dinagyang Festival and hosted by Passi City mayor Jesry Palmares, a UP alumnus himself. They won the first match, 74-65, before a sell-out crowd at the City of Passi Arena, as Rivero led the way with 17 points, while Paras and Bright Akhuetie added 12 and 11, respectively. The Maroons repeated the following day, 78-66, at the University of San Agustin gym to cap the two-game sweep that served as UP’s ‘Pasasalamat’ roadshow. The Iloilo PRISAA selection was reinforced by Emman Ojuola and Jeffakins Aguarra and were composed by the core of the John B. Lacson Foundation Maritime University led by Iloilo PRISAA MVP Fritchard Dulce. The Ilonggo selection was coached by former PBA player Genesis “Dongking’ Sasuman. The Maroons no longer have stars Paul Desiderio and Diego Dario, now both playing in the PBA, along with other graduating players Jarrell Lim, Gelo Vito and JJ Espanola. But it did feature the popular duo of Paras and Rivero, along with import Bright Akhuetie, the Gomez De Liano brothers, Juan and Javier, Will Gozum, Felix Jaboneta, Jun Manzo, among others. The Maroons were a big hit in the province that fans were already waiting for them at the hotel lobby early in the morning. As way of showing his appreciation, Paras signed and gave away his playing shoes to a young fan. Completing the UP lineup of coach Bo Perasol were Jerson Pardo, Jose Piero Longa, Noah Webb, David Murrell, James Spencer and Frederick Tungcab. The Iloilo selection also had Ghade Mark Lingga, Rayghan Panizales, Christiane Alabe, June Bantilaran, and Hiljohn Cartanega, Aron Jay Aspiras, Nelson Tandog, Japphet Sampiano, and Alec Leanny Villanueva – all of John B Lacson Foundation Maritime University. Other players in the roster coming from different Iloilo schools were Miguel Sasuman, Dan John Saladar and Elcyd Pascual of Central Philippine University and the trio of Marvin Cuerbo, Dionel Fatla-onag and Zaldy Patizar of Western Institute of Technology. The tune-up games were part of the Maroons’ early build-up for the coming UAAP season as they try to end a 33-year title drought since winning their only men’s basketball championship in 1986.